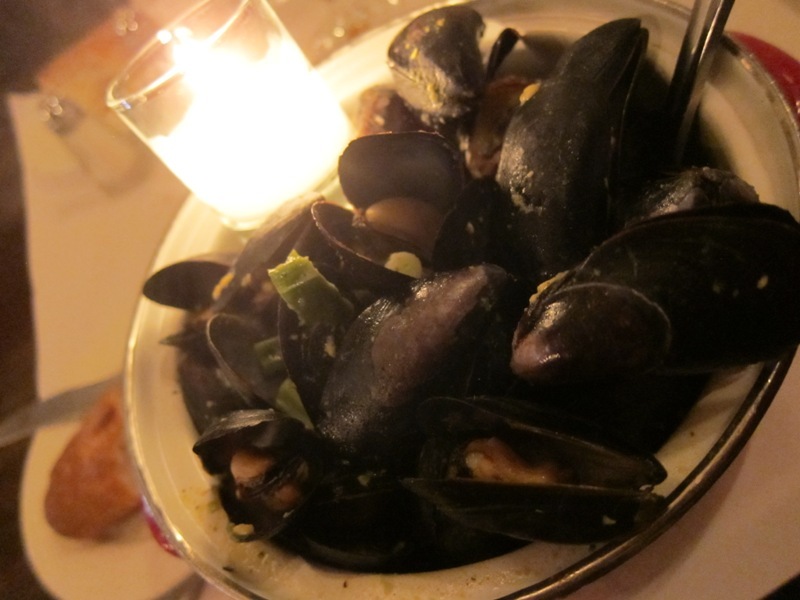 Moules Frites, aka mussels and fries, is a classic combination. I don’t really get why, but it just works. 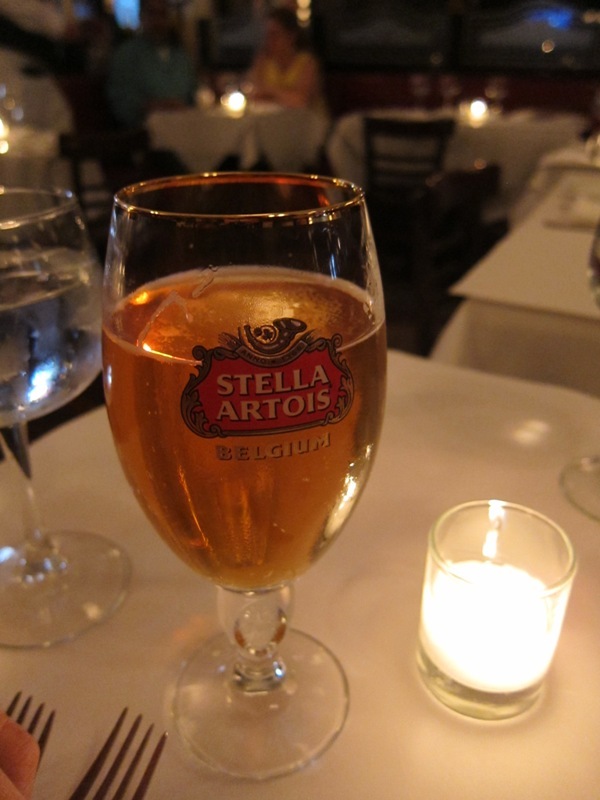 Originated in Belgium but also very popular in France, the classic combo is now enjoyed in the states as well. When I heard about Jacques Brasserie’s Belgian Feast special, I had to try it out. I mean, mussels, fries and a draft beer for $22? Not bad. Not bad at ALL. The best thing about the Moules Frites special in my opinion, was the quantity of mussels they give you – holy hell it was a big pot. We tried two kinds: the mussels Mariniere (chardonnay, garlic, and parsley) and the mussels Dijonnaise (mustard, shallots, and garlic). I honestly thought the classic mariniere was going to be better, but the Dijonnaise won by a landslide. The tangy mustard kick and slightly creamy broth…so indulgent. This is the one you want to order. 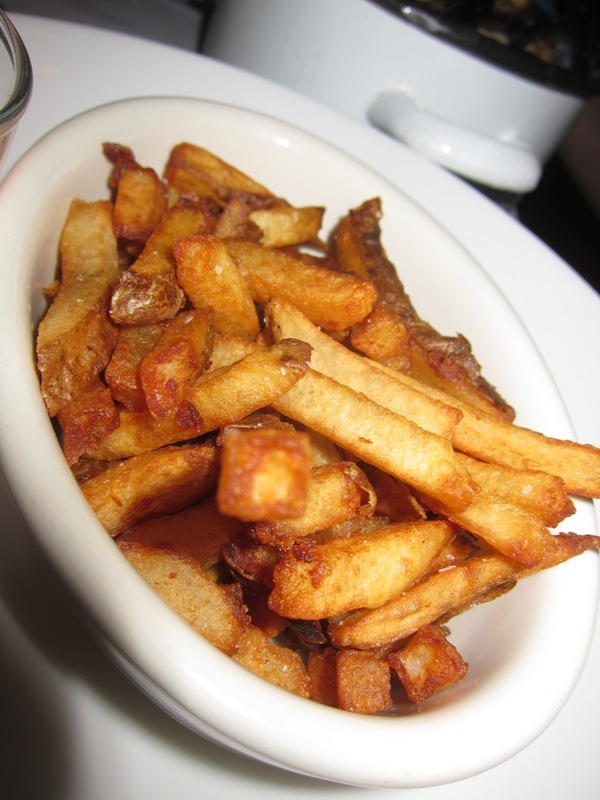 The fries were slightly disappointing, due to lack of salt; nothing worse than an under-seasoned batch of fries. They were nice and crispy but they needed a few shakes of salt on top. The Belgian Feast special runs every Sunday-Thursday, 5:30 – 7 PM. Not a bad place to kick off happy hour…if you plan on partying on the UES. Stumble Inn anyone?